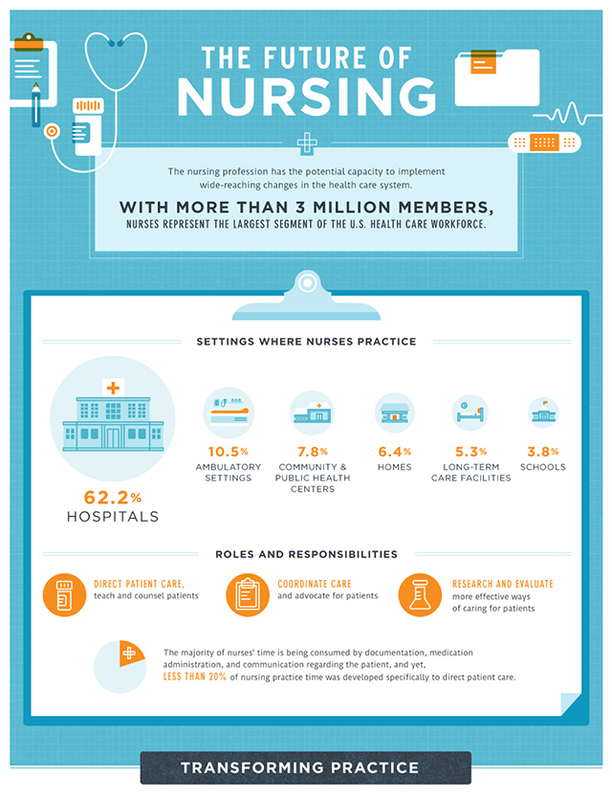 The nursing profession in the United States is evolving–like never before. The healthcare industry as a whole is facing unprecedented challenges and nurses–working on the front lines of patient care–will play a vital role in realizing healthcare objectives. We're now coping with an aging population of babyboomers, an increasingly complex and uncertain insurance system plagued with loopholes, and ongoing issues with healthcare reform and implementation. 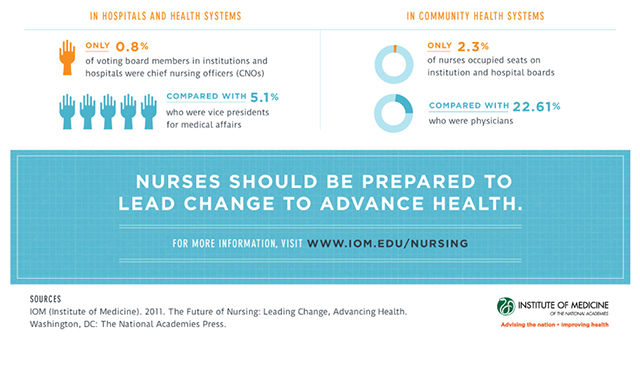 However, one thing is certain, nurses will continue to meet the future demands and challenges of healthcare head on, they will be instrumental in facilitating change and advancing healthcare, and will help ensure health care systems provide affordable, quality care that is accessible and leads to positive health outcomes for all patients. Nurses–advanced practice nurses (APNs) in particular–should practice to the full extent of their education and training. Currently, APNs practice to the extent of state laws governing advanced practice, not to the full extent of their abilities. The report suggests, even recommends, that the federal government should enact reform enabling nurse practitioners, certified registered nurse anesthetists (CNAs), certified nurse midwifes, and clinical nurse specialists a much broader scope of practice. While the federal government can't force individual states to change legislation limited scope of practice for APNs, it can set a precedence by adding APNs to the Centers for Medicare & Medicaid Services reimbursement panels. Nurses should achieve higher levels of education through an improved education system that fosters seamless academic progression. 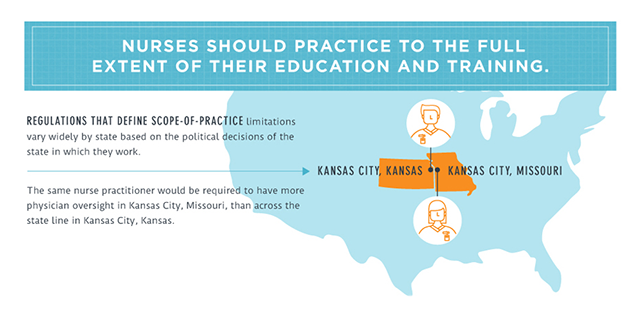 These "higher levels of education" are call for not necessary to improve career opportunities, but rather to prepare nursing professionals to deal with increasing complexities of direct patient care. Increasing dependence on information management systems, team-based work environments, and evidence-based patient care in healthcare are requiring nurses to develop additional competencies in many disciplines such as leadership, health policy and system improvements, to name just a few. Currently, of the 3 million nurses working in the United States, only small minority have a bachelor's degree level education or higher. The third key message of the report is that nurses need to be full partners, with physicians and other healthcare professionals, in the reformation and evolution of the healthcare system in the United States. The report suggests that nursing professionals have not been fully represented in the healthcare reform process and that true, and effective, healthcare reform cannot be achieved without the input of the nursing profession. Nurses should be in completed involved in decision-making processes, included as members of advisory boards and tasked with indentifying inefficiencies in the current healthcare system and finding solutions. The final message aimed at addressing the future of nursing and healthcare in the United States focuses the implementation of improved planning and policy in the workforce to ensure better information structure and data collection. If workforce data collection and analysis is not funded or implemented through the Affordable Care Act (ACA), then other opportunities to develop a national healthcare database should be pursued. 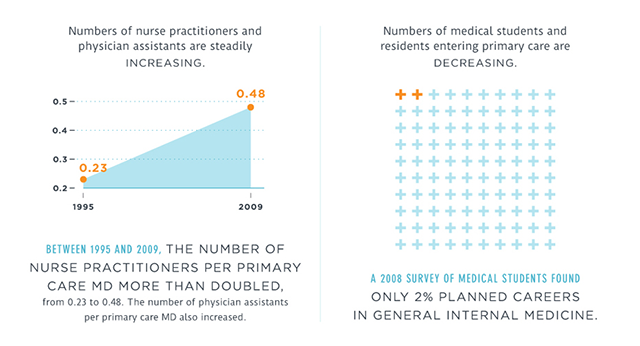 As a larger percentage of the U.S. population continues to grow older, and fewer physicians complete primary care residencies, there will be a growing demand for primary care services that will be filled by nurse practitioners. Under the Affordable Care Act, groups of healthcare providers, including physcians and suppliers, are allowed to form Accountable Care Organizations (ACOs) to coordinate and manage healthcare services for Medicare patients. Qualifying ACOs will be eligible to receive federal incentive payments. In addition to primary care physicians, healthcare providers that can participate include clinical nurse specialists, nurse practitioners and physician assistants. Thanks to the efforts of the The American College of Nurse-Midwives legislations has now been passed increasing the reimbursement rate for certified nurse-midwives, for qualifying healthcare services, from 65% of what a physician is reimbursed to 100% of a physician's reimbursement rate. The U.S. healthcare system now recognizes the services provided by certified nurse-midwives as equally valuable as those provided by primary care physicians. A medical home, commonly referred to as a patient-centered medical home (PCMH), is a healthcare delivery model intended to provide comprehensive and continuous health management, care coordination and primary healthcare to patients with the objective of maximizing health outcomes. Currently, medical homes must be operated under the direct supervision of a licensed physician. Even though healthcare reform legislation through the Affordable Care Act does not exclude advanced practice nurses from the management and operation of medical homes, at this time most states interpret current legislation to mean that only physicians may direct the operations of a medical home. Legislation is being introduced to allow APNs to qualify, as physicians currently do, to operate medical homes in the United States. Due to the factors discussed above, and other not indentified in this report, the future for nurse practitioners and nurse specialists looks very bright. 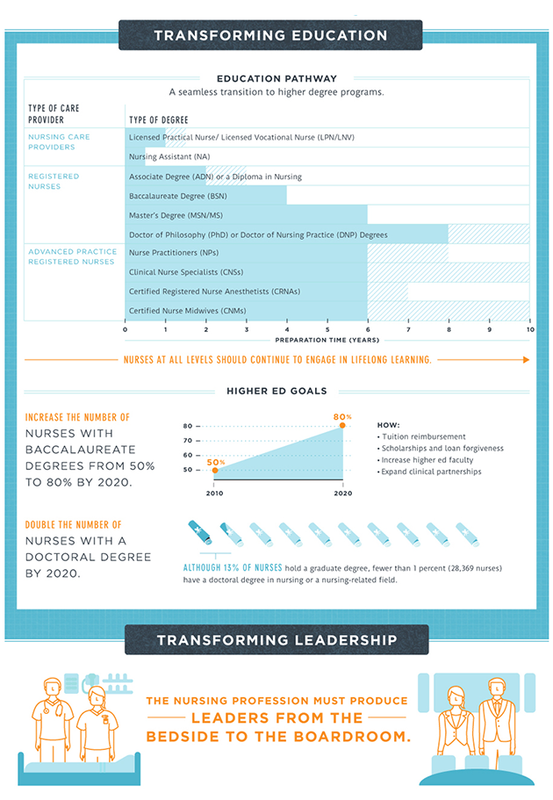 Over the next decade nursing professionals who complete the advanced education and credentials required to become practitioners can look forward to a plethora of new career opportunities within the fields of primary care, healthcare operations and healthcare management.